The Macdonald Marine Hotel & Spa are proud to introduce the new Meeting @ Macdonald standards that reflect a new innovative approach to delivering business needs. State of the art equipment and facilties, combined with staff who really care ensure that all meetings and events held at the Macdonald Marine Hotel & Spa will be delivered with success.The hotel can to play host to meetings of every diversity - from small private board meetings to product launches for 300. 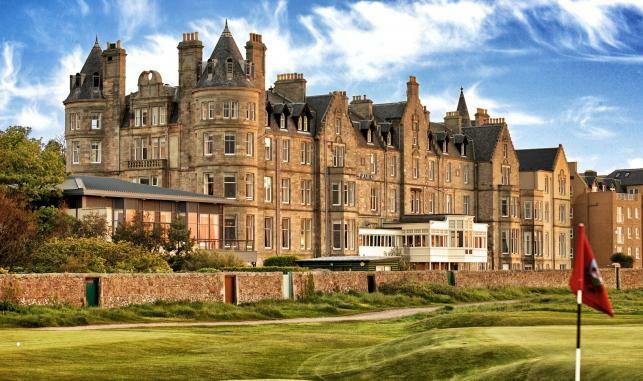 Just 23 miles from Edinburgh, The Marine is surrounded by golf courses and offers cruises to Bass Rock, made famous by Robert Louis Stevenson. The Marine Hotel is a gloriously embellished example of Victoriana, picturesquely located at the heart of East Lothian's golfing coast. The Marine actually overlooks the 16th green of North Berwick's championship West Links golf course, which threads along the edge of the Firth of Forth.